Besides the fact the title of this song sounds like a Jules Verne novel (boom, some use from my English major. 200 grand well spent amirite? ), I have literally no complaints. A true beauty. In fact, I really meant to blog these people months ago, when they dropped their other etheral tune "America." But, like a drunk girl exiting a cab sans phone and wallet, I left it behind*** That's okay though, because I like this one better. The female vocals are calming and pure. The snare drum is perfect. Legit, I feel like the snare drum gets no love in indie music!! Also maybe I am crazy, but I swear there are police sirens being sampled here. And while cop cars definitely don't exist "between the devil and the deep blue sea," I still support them. 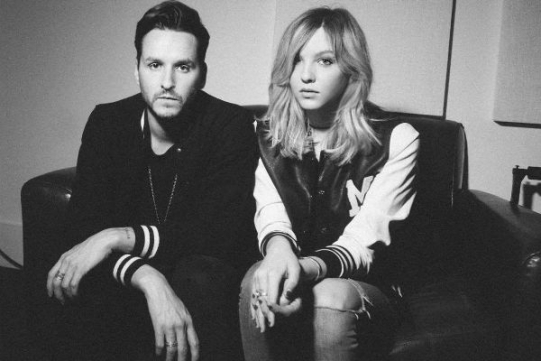 Can we also give it up to XYLØ for being the most productive brother-sister duo I know? This is the best thing created by siblings since Monica and Ross made up "The Routine" The only thing my brother and I do together is smoke weed and yell at each other about the music choice in the car. So well done guys. Hopefully one day you won't turn into Oasis. ***disclaimer: I stole this joke from "The Unbreakable Kimmy Schmidt." I can't afford to be milli-Vanillied so I might as well be straight-forward about my plagiarism.